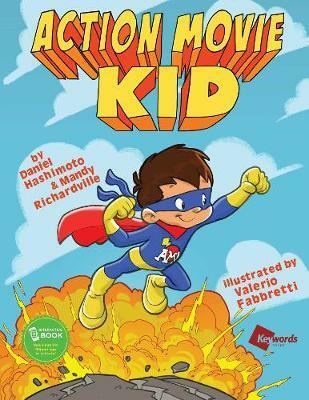 Meet Action Movie Kid, whose adventures began on YouTube and continue in his first book, a thrilling tale of the heroic acts and daring deeds that fill his day and follow him to bedtime-and beyond! James may look like a regular boy, but in his imagination he is Action Movie Kid, defender of his own tiny universe. Monsters, aliens, and robots are no match for James’s super strength and infinite cleverness. Though his superpowers sometimes get him into trouble-especially when others can’t see the dangerous foes that prowl the school yard, and his home-you can always rely on Action Movie Kid to save the day, even if he does need his parents' help from time to time.